Safety Harbor officials suggested raising the millage rate to help purchase four downtown lots that are home to the historic Baranoff Oak tree, said to be one of the oldest such trees in the state of Florida. Soon they could be asked to put their money where their trunks are. The Safety Harbor City Commission floated the idea on Monday of increasing the city’s millage rate on a temporary basis to help offset the cost of purchasing four lots on Main Street and Second Avenue North, including the parcel that is home to the historic Baranoff Oak tree. According to City Manager Matt Spoor, who last month was authorized to enter discussions with the property owner, the owners agreed to pair of options regarding the sale of the land. 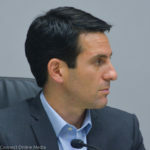 “I talked to the property owners last week,” Spoor told the commissioners near the conclusion of their May 7 meeting, “and we’ve negotiated, so far, two options: a straight purchase of the property, which would include the tree and the lots on Main Street, for a million dollars or…a three-year purchase option” of payments spread out over three years totaling $1.1 million, with 50 percent due up front. Safety Harbor City Manager Matt Spoor. Spoor said if the commission wanted to move forward with the purchase this budget year, “we need to find where we’re gonna get the revenue from,” adding there were only a few possibilities: General Fund reserves, take out a loan, or increase the millage rate to pay for the purchase price of the property. The news was met with silence from the commission, although the proposed price couldn’t have come as much of a surprise. The cost is comparable to similar properties in the area, according to Spoor, including the vacant lot across the street that was purchased by Bay to Bay Properties last fall. After absorbing the news, the five commissioners began to discuss ways to facilitate the purchase, with suggestions including using parkland funds, selling city properties, or applying for grants. 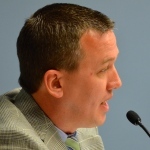 When those suggestions were dismissed for various reasons, the talk returned to the millage raise, with the mayor noting the importance of the property as a valid reason to ask citizens if they would be willing to support the temporary, directed rate increase. “This property has received a lot of attention over the years,” Ayoub said. Commissioner Nancy Besore suggested keeping their options, including taking from reserves, open, while Spoor suggested paying for the property up front using reserves and pay the city back through the millage increase, thus saving $100,000. “I think we right now we just need to get the idea out, because personally, I don’t know if I want to take everything out of reserves, because that will really leave that on the low end,” the mayor replied. Commissioner Cliff Merz asked for a rough estimate of how much of an increase residents would be faced with, and Spoor said they could expect a bump of $30-$50 a year based on quick calculations using an average home value of $150,000. “The lower end would be if you stretched it our over four or five years, and the higher end would be if you stretched it out over two to three years,” he said. Ultimately, the commissioners instructed the City Manager to bring back some options using hard figures, while the mayor reiterated his request to seek public input on the subject. 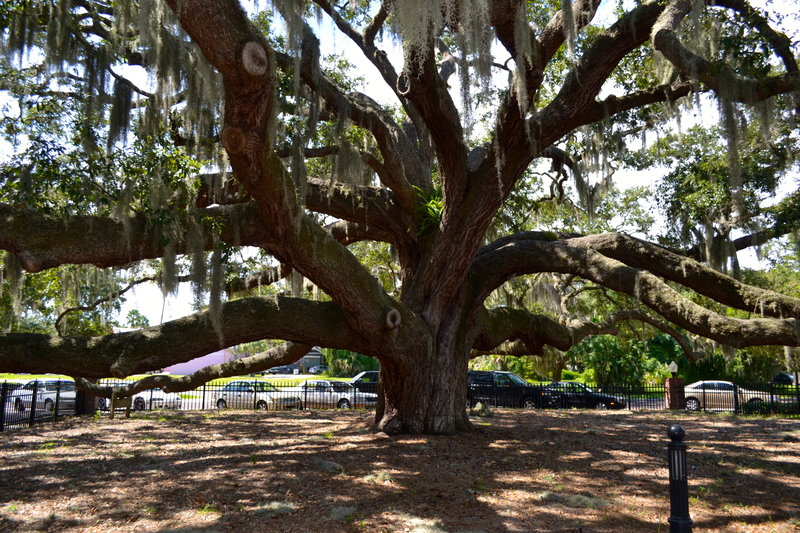 The historic Baranoff Oak tree in downtown Safety Harbor is estimated to be between 300-500 years old, making one of the oldest such trees in the state of Florida. After the meeting, Ayoub elaborated on what is sure to be a polarizing topic. “Since the City of Safety Harbor does not own the property that fronts Main St. where the Baranoff Oak Tree is located and given that the property owner would like to extend the senior living facility that abuts the property the City has been negotiating with the property owner to purchase this parcel of land,” he wrote via email. “Since we are looking at a purchase price of about $1 million and this is not factored into our budget I brought up the idea of putting out a survey to our residents to poll them to see if they would be willing to incur a temporary tax increase over three to four years to help pay for this property. Harborites, what do you think? Should city officials raise the millage rate to help pay for the Barnoff properties, or is that too much to ask to help preserve one of the state’s oldest trees? Let us know in the comments below or on the Safety Harbor Connect Facebook page! I think the tree and what it represents is too important to not buy the land and make it officially part of the city. I would gladly pay the extra $30-50/year for a few years to incorporate that land and tree. This is an absolutely brillliant ideal. 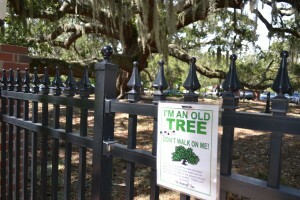 Now, the Safety Harbor Tree People can do more than just honk to prove they love hard wood. 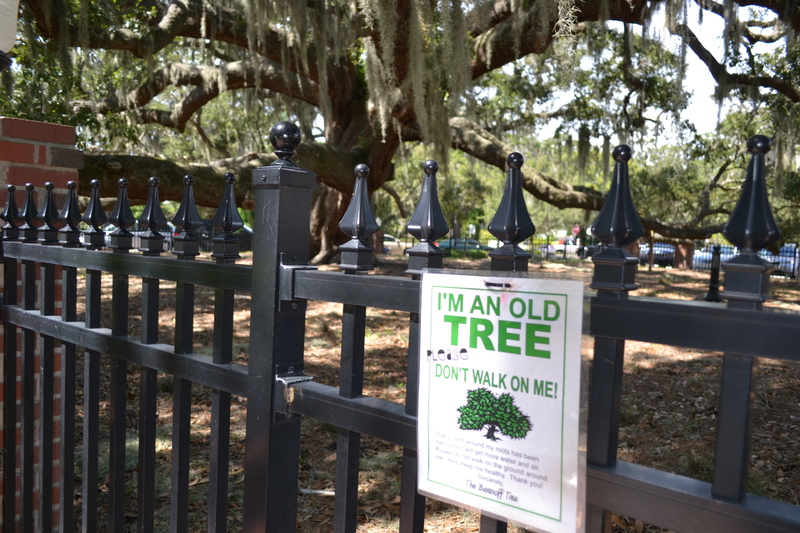 If Safety Harbor residents want the city to own the Baranoff Oak, alll they have to do is agree to pay for it by increasing their taxes.
. Can’t get any simpler than that. If rallying to save a dying, invasive tree that is unsafe and causing property damage to the SH entryway sign is enough to get their windmills turning, then, paying for. Tthe Baranoff Oak sounds like a no brainer. In fact, I would expect a large donation from Honk If You Love Trees into a city fund,, just to get tthe momentum going. Unless, of course, the love is not sincere. My thoughts on this issue is take the money from the reserves to purchase this property ASAP and increase the millage rate temporarily to pay back the reserves. We have already lost so much of our old town charme from all of the trees removed at the Safety Harbor Resort Spa and the building of Harbor Place Luxury Condos on Bayshore Boulevard. We really need to preserve the historic Baronoff Tree and this green space to preserve the beauty of our town. I support a temporary increase in the city’s millage rate in order to buy these extraordinary parcels of property. Although the million dollar price tag appears to be a little pricey for these lots, the value of Safety Harbor’s downtown lots will only continue to increase in the future. Also, with the soon to be built Bay to Bay property on Main St. and 2nd Ave. N., purchasing the Baranoff Oak Tree and the surrounding lots have become even more important. We certainly don’t want to pass on this opportunity to buy these lots and end up with the current owners expanding the Assisted Living Facility by constructing a large three story building there. This will damage the Baranoff Oak Tree and block it from the public view from Main Street. Preserving Safety Harbor’s charm depends on preserving Pinellas County’s oldest and grandest live oak tree. A small increase in taxes for only a few years is a small price to pay for preserving the Baranoff Oak Tree and will also create another quaint city park in the heart of our unique and historic downtown. What happens if the property isn’t purchased by the city? Isn’t the Baranoff Oak protected by law so the owner of the property can’t cut it down and build on the land? If the concern is the vacant lot to the south of the Baranoff Oak, wouldn’t the property owner have to get a permit from the city to build on that lot, and therefore the city could require any plans for that lot to include plenty of space so the Baranoff Oak roots are not affected? Keep in mind that roots go out the same distance as the canopy. So quite a bit of the roots would be cut and damaged and there is literally little room left to build on the adjoining lots. I understand the roots go out the same distance as the canopy. It looks to me as if there is still about 80 feet from the canopy to the sidewalk on Main Street which is about the same depth as many of the buildings along Main Street. Just to be clear, I’m not advocating for a building to be built there. I genuinely want to know what are the likely outcomes if the property is not purchased by the city. If the tree is legally protected and there is zero chance it would be cut down or damaged even if the city didn’t buy the property, that’s something to consider in the decision to buy the property. And alternatively, if that is not the case and the tree is at significant risk if the property is not purchase, that would be a big consideration as well. We are very much in favor of preserving this magnificent, iconic tree and the green area around it. The temporary increase in the millage is a good idea to raise the funds necessary however there are a number of Safety Harbor residents that own more than one property and the implication that this increase will have on them should be considered. Additionally, there is a large population of renters who are residents of Safety Harbor and also enjoy of the site. The city should consider how to possibly tap this population. Please stop the madness. Is there no end to your hunger for more tax dollars? So let me get this straight. All a property owner that has protected trees on it that may or may not live has to do is threaten to develop the property and the city comes to the rescue with a big payday for the owners with money that is not budgeted or planned. Sorry, but that isn’t visionary or governing. It’s more like flying by the seat of your pants. It seems to me all the new construction and the taxes it brings to our hamlet we should be doing a better job of planning and budgeting for this type of eventuality. The penny for Pinellas was supposed to be a temporary tax when we first voted on it, but it never goes away. There’s always another guilt trip laid on tax paying voters for another good cause. At least the penny gets voted and not levied. Purchasing this property is about more than owning the magnificent Baranoff Tree. It will be securing the land in front to provide everlasting green space in Downtown Safety Harbor. While I would not mind paying an additional amount of $35+ a year towards the tree I do however feel ALL Safety Harbor citizens should have a say, and this should go out for a vote. It’s a good idea to purchase the Baranoff Tree lot and develop a micro park on it. Safety Harbor has been designated a Tree City and this purchase will serve to protect our oldest and most historic tree and enhance our Tree City designation. I believe that we should purchase the land outright through reserves and either pay through a 3 year tax increase or look for private funds (Go Fund Me?) or State and County money for reimbursement. Even if trees were the only thing that mattered, this would still be a lousy idea. How many thousands of trees could be purchased, planted, and cared for with that million dollars? Or we could spend it to “save” one tree that no one is proposing to cut down. The millage is an easy “no” vote for me. My understanding is that there is currently no law that could prevent a developer from cutting down the Baranoff Oak Tree in order to develop this property. Even if a developer did not cut down the Baranoff Tree for development, a three story building on the front lot would severely damage the root system and would block most of the sunlight that the tree needs to survive. We should purchase these valuable downtown lots between the library and Main Street now as they will not only save our Baranoff Oak Tree, but will greatly increase in value and importance over time. My understanding was similar to Paul’s above — that the tree was protected. I could be wrong, though. Maybe we could have someone from the city provide a definitive comment either way, since that seems like a fairly important detail. If it is paid by millage increase, ours will probably be around $100+ a year. The Baranoff is enough of a city landmark and part of the city’s brand, and that is worth the million dollars, or $100 a year for us. What if the company donated the lot with the oak tree on it to the city and then sold the lots around the tree to the city – could the company get a tax right-off for the donation and then the remaining lots were purchased say for $750,000? Win-win for the company and less expense for the city? 1. There is a Parkland Fee (and fund) that developers pay into. For instance, I believe that the new condo on Bayshore was required to pay in excess of $500,000 into the Parkland fund, based on how fee requirements are calculated. How much is in that fund today, and use those funds first. 2. The city was talking about selling a city-owned commercial building on 9th and MLK that houses the Parks Dept. equipment, and merging that group’s space needs into the Public Works facility. What is holding up that move, and the sale of that property, that would provide $300,000 to $500,000 in cash? 3. Laws can not be enacted which target one person . Bigger picture, why doesn’t the city just not spend $1 million and instead update the tree ordinance to say (a) no protected tree species over 60 inches DBH (Diameter at Breast Height) can be removed unless diseased and (b) no Development can occur within the dripline of such trees, so to protect the root system? PROBLEM SOLVED. 4. Commissioner Zodrow is bragging that it was his idea to buy this 4 years ago. Can I see some emails to support that claim? If so, why wasn’t this brought up 4 years ago when the city could have bought the land for half the price? Some commissioners lack of action is costing the city taxpayers hundreds of thousands of dollars. You buy when the market is depressed. Total lack of action when the time was right. You bring up 4 worth while questions that taxpayers deserve answers to. It sounds like there are income sources not being discussed in order to justify Millage increases. No Millage increase.